This 22 ga. galvanized clip provides a large fastening area for any style ridge cap on a standing seam roof. 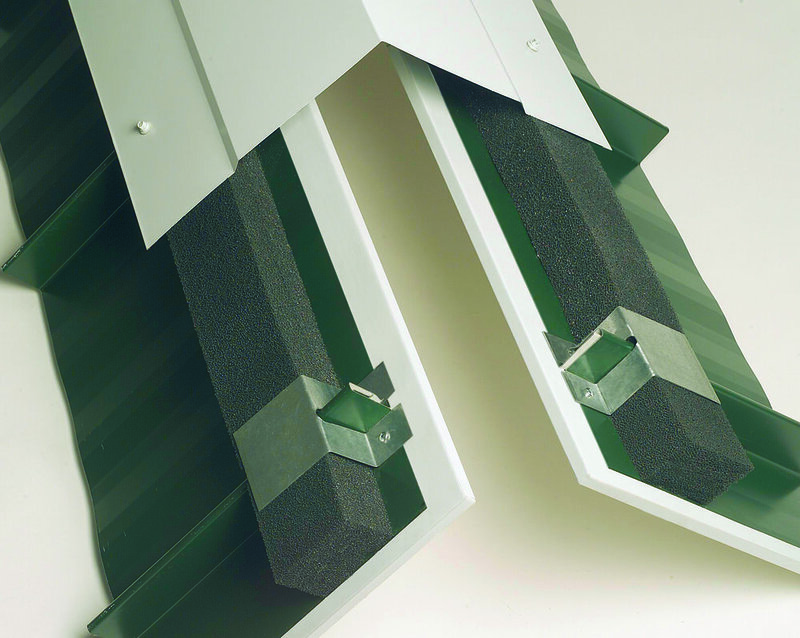 With this clip, no fasteners penetrate the panel where they will be exposed to the weather and no fasteners need to penetrate the standing seam. When used with our pre-cut Uni-Vent II!, this system provides the lowest cost ridge ventilation system for a standing seam roof on the market today. Quick and easy method of terminating the top of the roof panel. Eliminate field cutting and installation of a “z” closure. Large fastening area for any ridge cap. Ventilation takes place between the standing seams. Fasteners do not penetrate the standing seams.